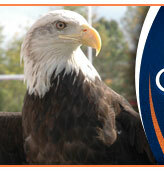 Things are certainly looking up for the Eagles of Carson Newman College. A trip to the National Tournament for the first time in 10 years. A gaudy 19-9 season record including a 16-6 conference mark. The Murfreesboro duo will spend their college years in Jefferson City as members of the Eagles Class of 2014-2015. The duo led Siegel to the state tournament three of the last four years. Jones is a do everything point guard who shies away from nothing and no one. He is tough and a pass first kind of leader. His scoring is of the game winning variety and he will be an asset day one in the locker room. Clark is pure energy and has a motor that will not stop. He defends like its his job and he can score especially in transition and if left open will knock down the deep shot. Jones and Clark were named to the Tennessee Sports Writer's All-State squad and Clark was selected as a nominee for the McDonald's All-American team from the state of Tennessee. The duo played their summer basketball for Team Nashville. The Eagles are a charter member of the South Atlantic Conference and as stated earlier represented their conference in the National Tournament this past year. The Eagles are coached by Chuck Benson.